CBD in the United States! 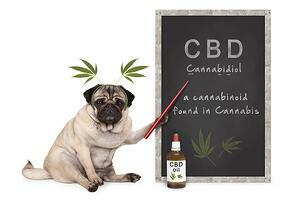 Cannabidiol is one of the over 100 cannabinoids found in Cannabis. With a projected annual growth of 55% over the next 5 years, CBD is on its way to becoming the top of the natural products industry. This is not including marijuana derived CBD. Clinical and pre-clinical studies have demonstrated CBD has broad therapeutic properties including reductions in seizures, psychotic symptoms, anxiety, depression, inflammation, neurodegeneration, MS symptoms and chronic pain either used alone or when co-administered with THC. Individuals are typically using chronic pain, arthritis/joint pain and anxiety but depression and sleep disorders are also common uses. The perceived efficacy of CBD for these medical conditions is high with many users reporting that CBD works very well for their conditions by itself and almost half of the users use it daily. Seniors are the fastest growing population that uses CBD for symptom relief. Medical Marijuana dispensary buses go from assisted living complexes right to the dispensary in Colorado, California and Nevada. CBD generates an anti-inflammatory effects, an agonistic effect reducing total inflammatory damage, controls inflammation in the brain, promotes the uptake of intracellular calcium and smoothing muscles and skeletal muscles to mitigate spasticity and associated pain. THC can be useful in the management of severe debilitating pain that cannot be completely controlled by CBD. It is also effective in conditions where sedation and distraction are important methods of helping to control pain such as late stage cancers, kidney failure, traumatic brain injury, hepatitis etc..
You may be a candidate for medical marijuana. Call us at 845 358-8385 to schedule your Med Mary consult with Dr. E.